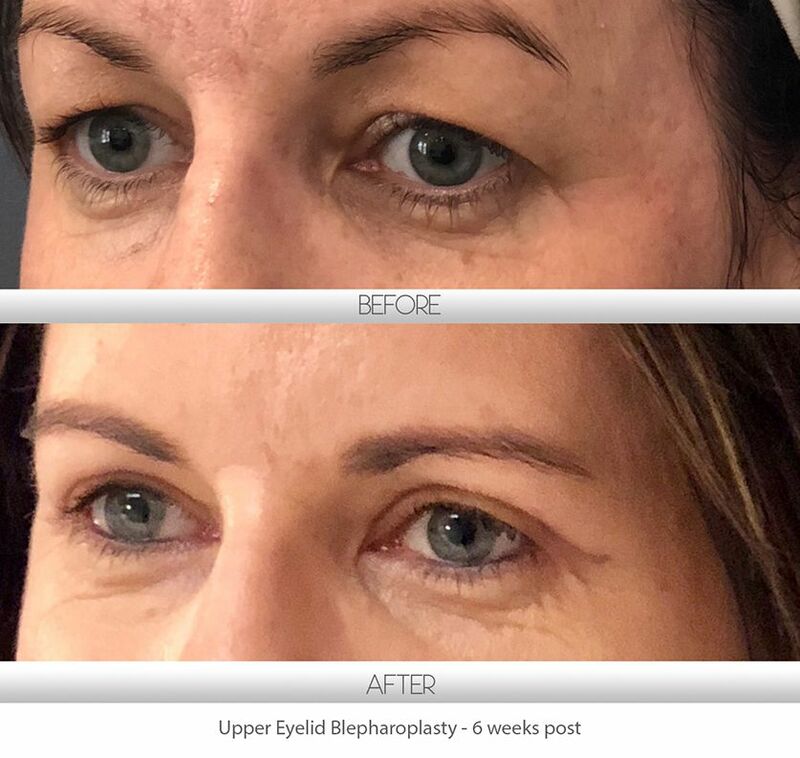 Eyelid surgery (blepharoplasty) is amongst the most popular and frequently performed cosmetic facial surgical procedures across the world. Over time, the skin of the eyelids can become lax. Following this, the underlying tissue (fat pads) may begin to bulge out. Additional factors such as years of sun damage, genetic predisposition, chronic health issues and cigarette smoking can often accelerate this phenomenon. 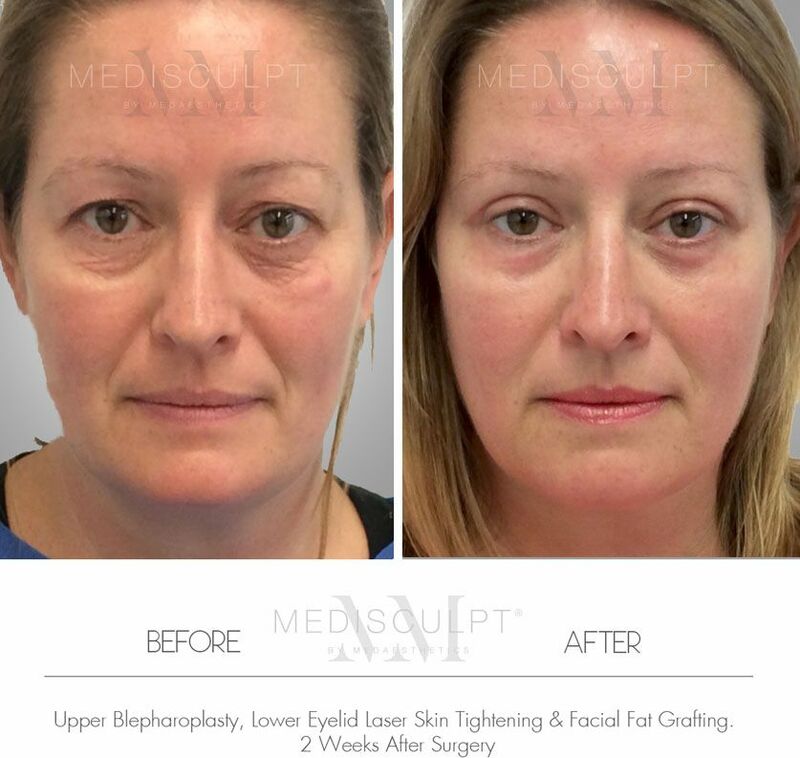 Cosmetic Blepharoplasty can also help younger people with genetically inherited excess fatty tissue around the eyes. 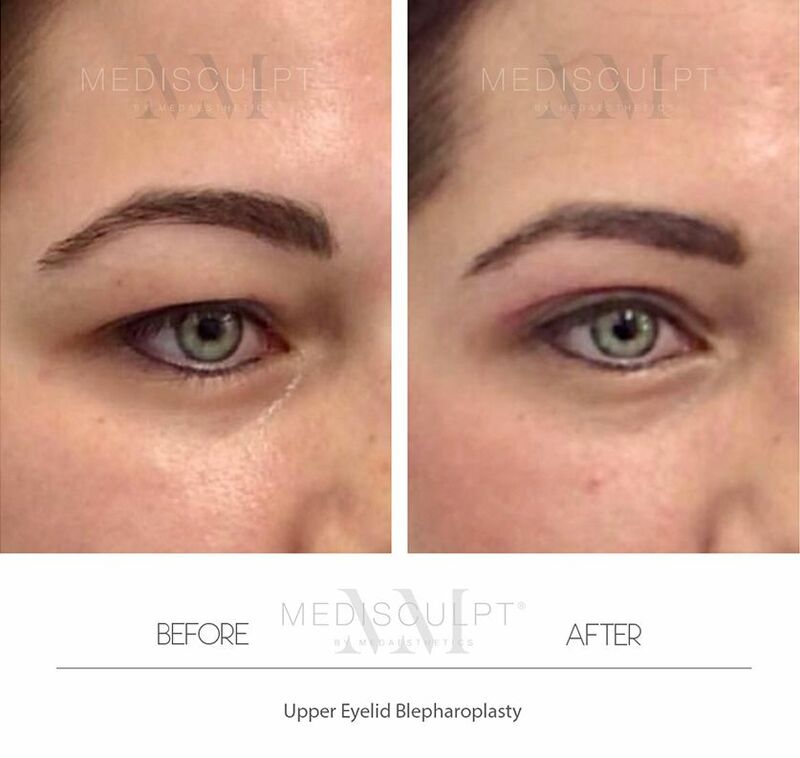 The purpose of this to achieve a more defined upper eyelid crease or to remove excess fat pads (usually performed in younger Asian patients and referred to as Asian Eyelid Surgery). 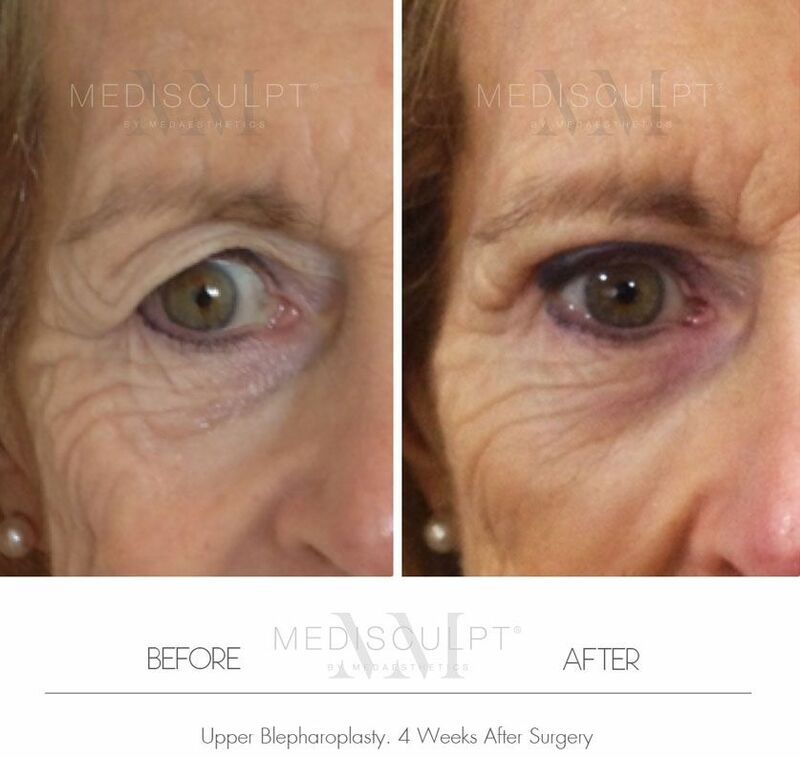 For some patients, blepharoplasty can also improve eyesight by providing a less obstructed field of vision – which would have otherwise been a result of excess upper eyelid skin. 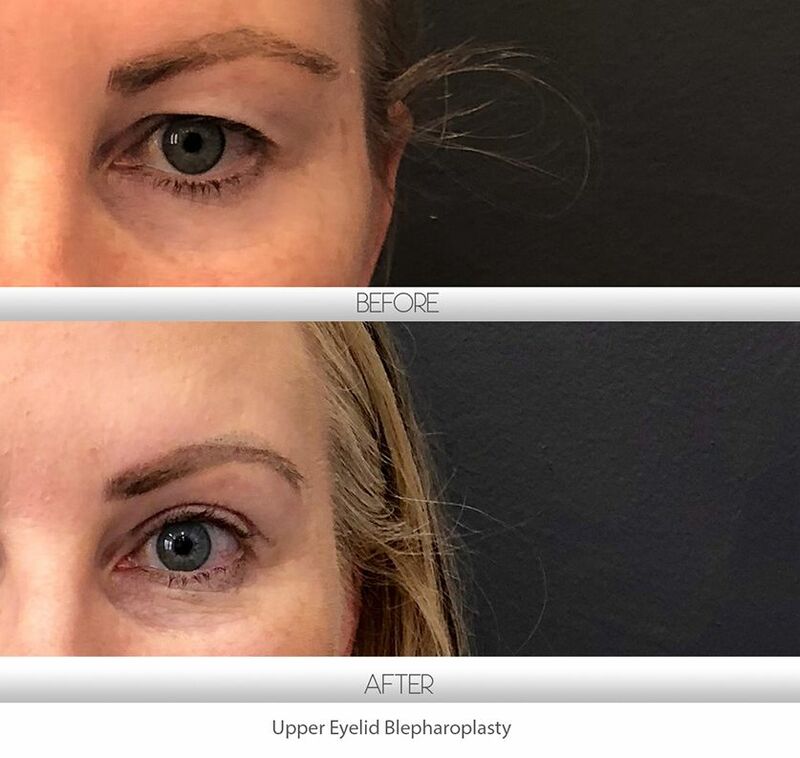 Dr Ehsan Jadoon has successfully performed countless cosmetic eyelid surgeries and is renowned for achieving natural-looking results with high patient satisfaction. 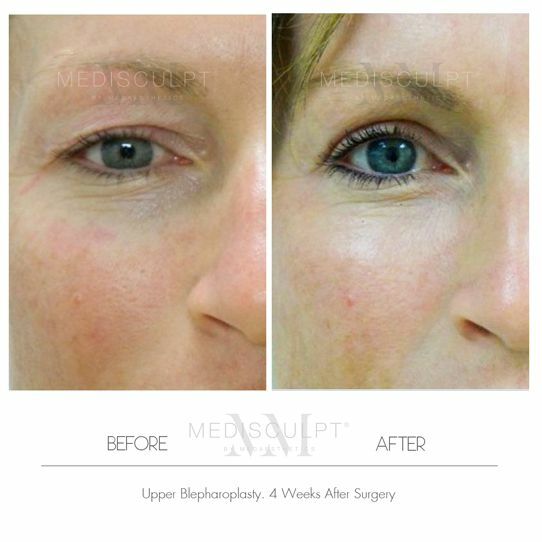 What are the common types of Blepharoplasty and Eyelid Skin Rejuvenation procedures? 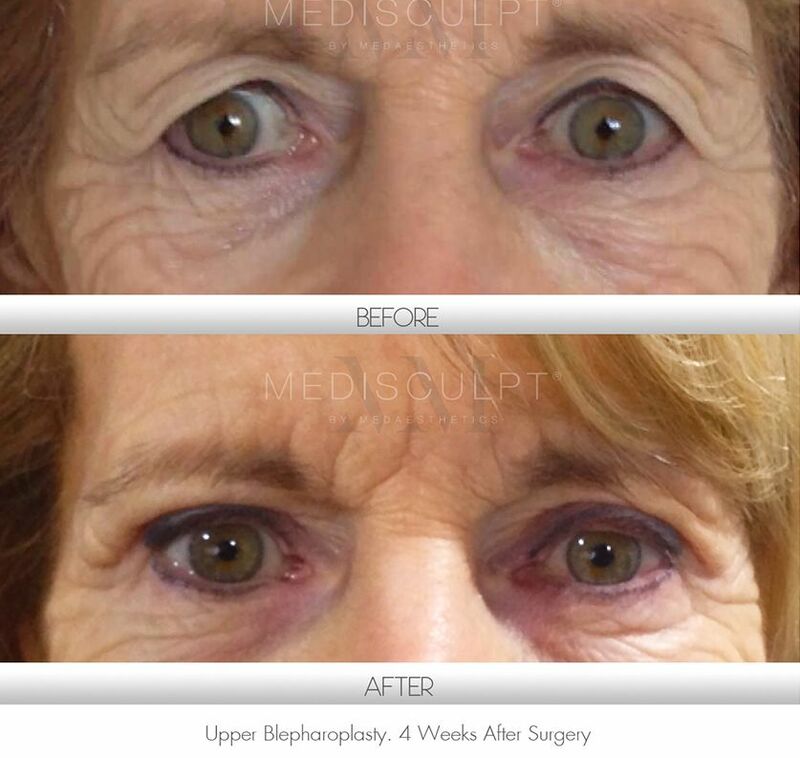 What exactly is Trans-Conjunctival Blepharoplasty? 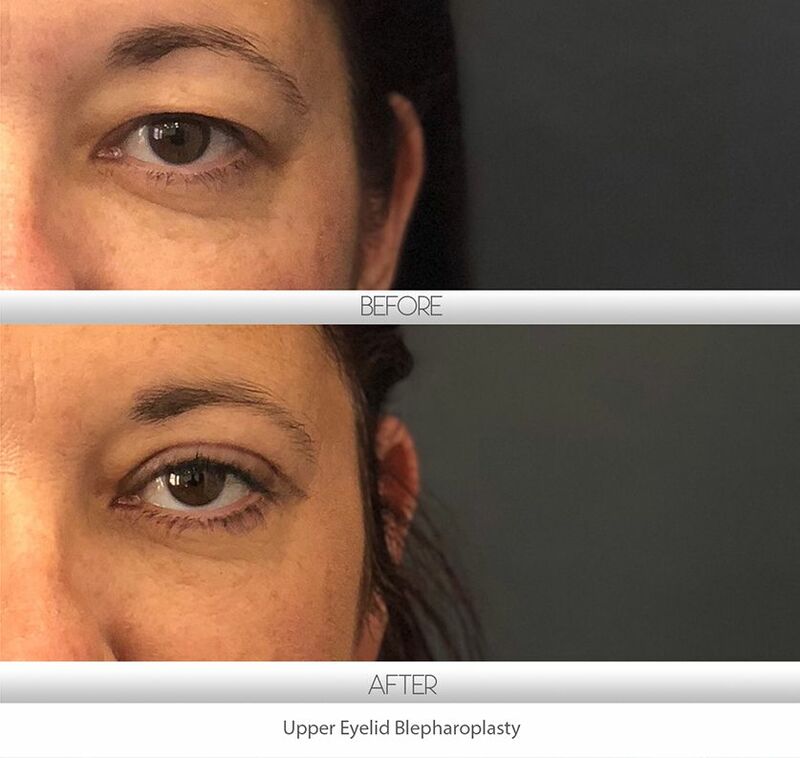 For the sole removal of lower eyelid fat pads, a trans-conjunctival blepharoplasty is performed with the incision made inside the lower eyelids. As such, no visible scars appear on the outside of this area. 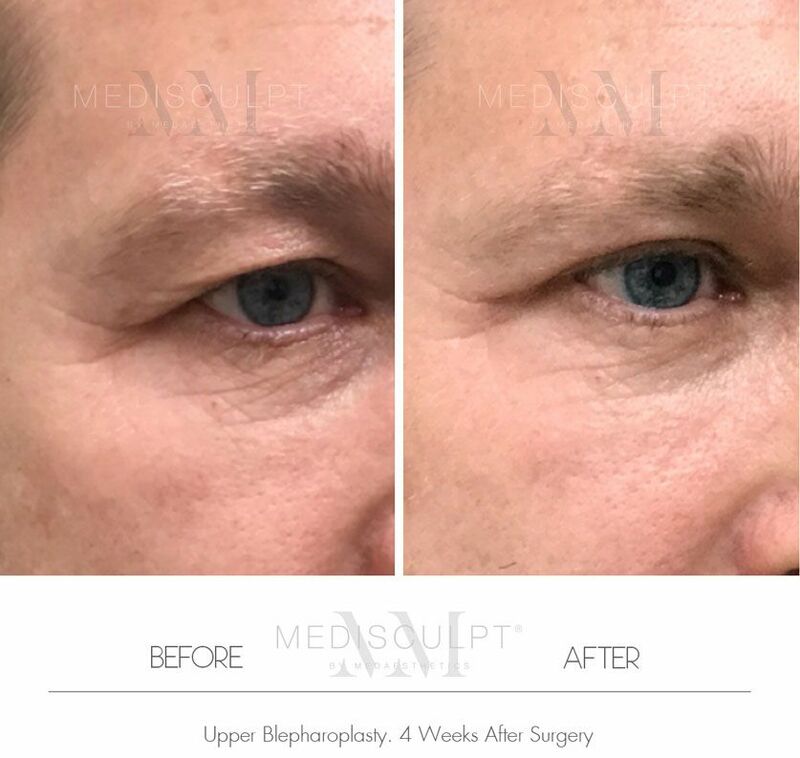 As its name suggests, Tissue-Sparing Blepharoplasty entails a minimally invasive surgery where only the excess eyelid skin is removed. 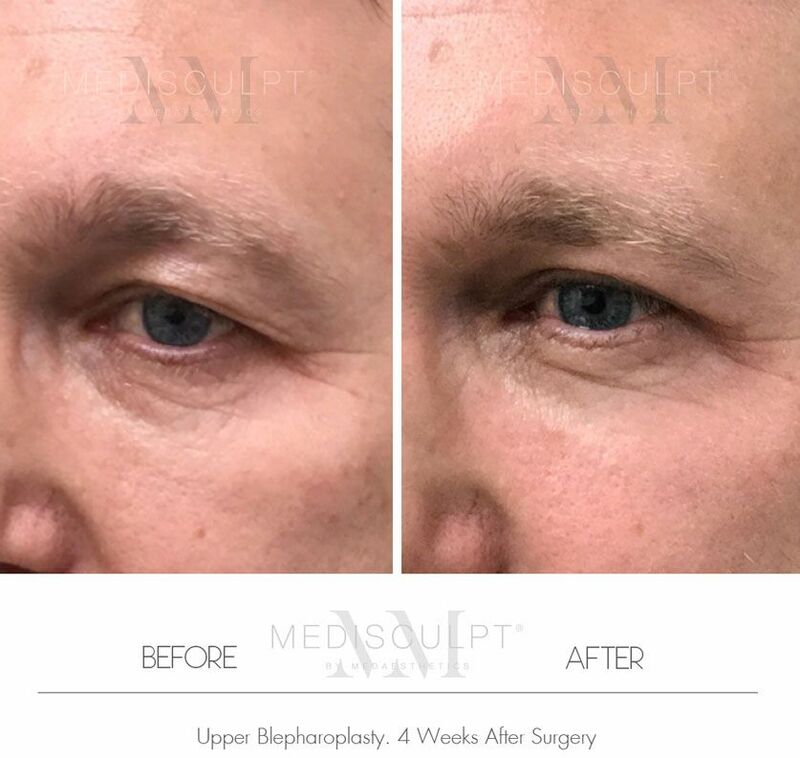 Deeper structures such as eyelid muscles and fat pads are left untouched and intact. 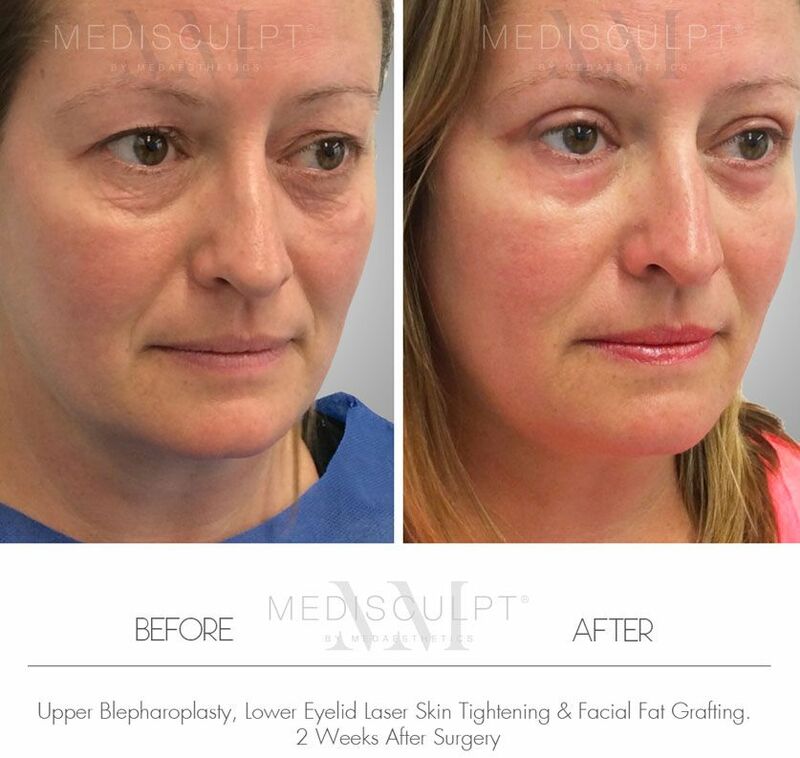 This procedure is suitable for patients who seek to remove excess skin as opposed to bulging fat pads. 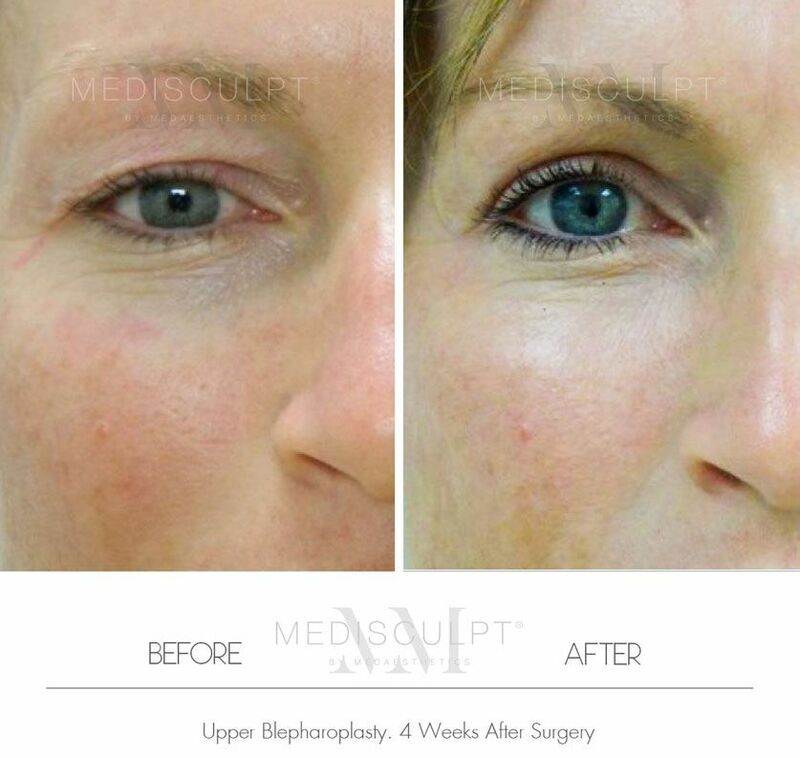 At Medisculpt™, we recommend Tissue-Sparing Blepharoplasty for most patients. 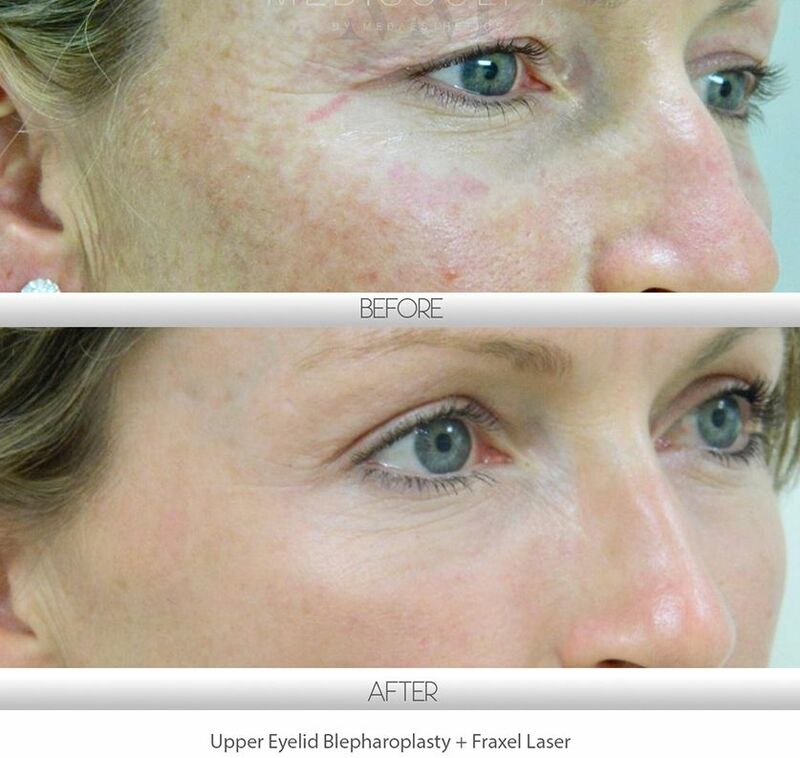 What is Laser Eyelid Skin Tightening? Ablative lasers such as Erbium Glass and CO2 have excellent tissue shrinking properties when applied to thin skin areas such as the eyelids. 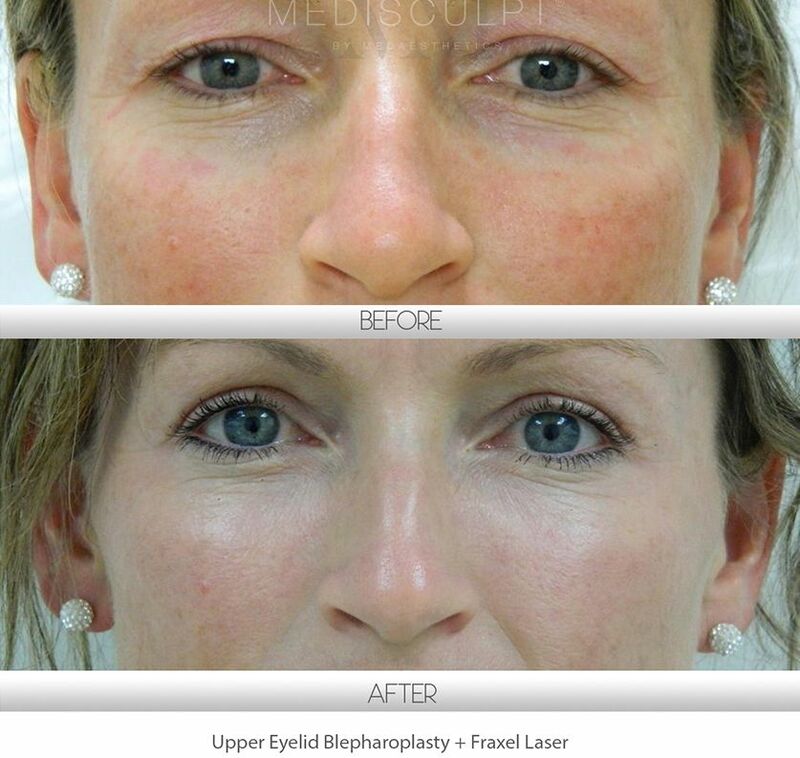 In recent years, these lasers have become extremely popular in reducing loose skin in the lower eyelids. Our doctors routinely perform this procedure with excellent patient satisfaction. At the time of your consultation, our doctors will advise which type of Eyelid Rejuvenation procedure is suitable for you. Sometimes two or more procedures are combined to deliver the optimum results. 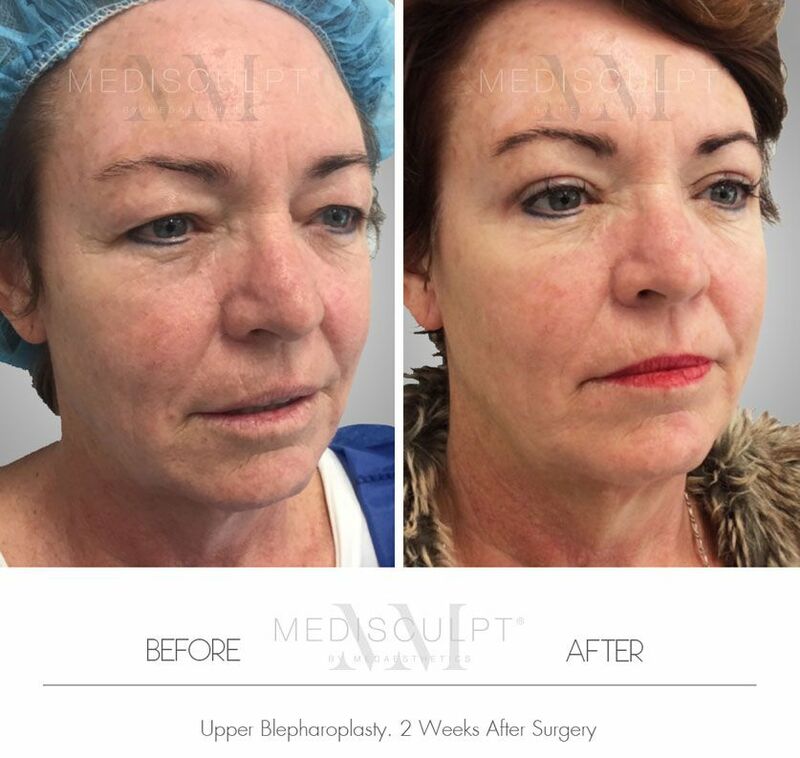 At Medisculpt, blepharoplasty is performed using CO2 Laser and Radio-Wave surgery as a day procedure under local anaesthesia. It can also be performed under twilight anaesthesia in an accredited day hospital. 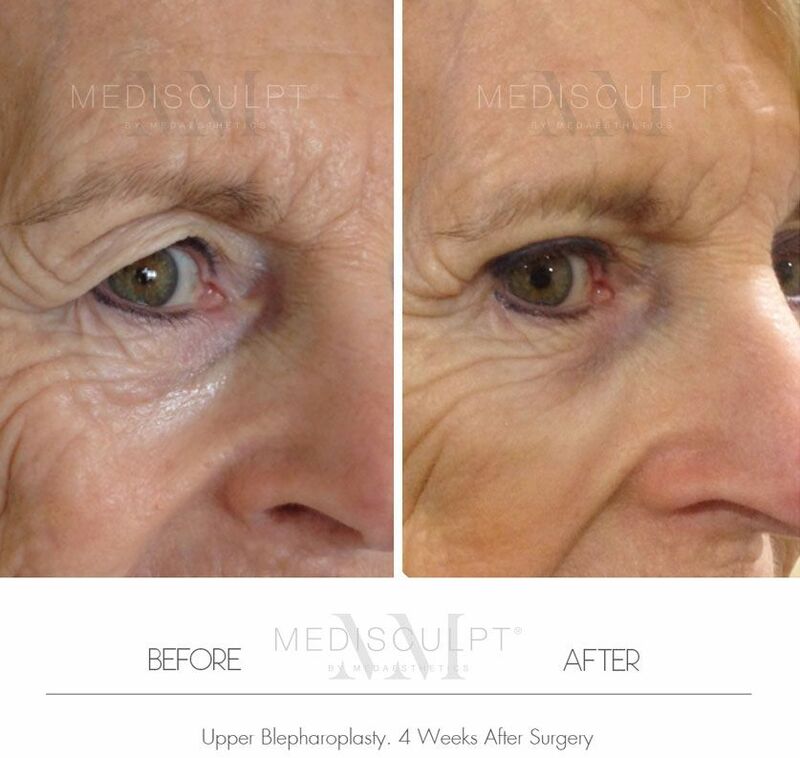 Blepharoplasty is a relatively quick procedure to perform. On average, it takes under 60 minutes if only one of the forementioned types of surgery is being performed. Most people tolerate this procedure exceptionally well. Patients can go home after the surgery on the same day and do not require prolonged hospital admission or monitoring. 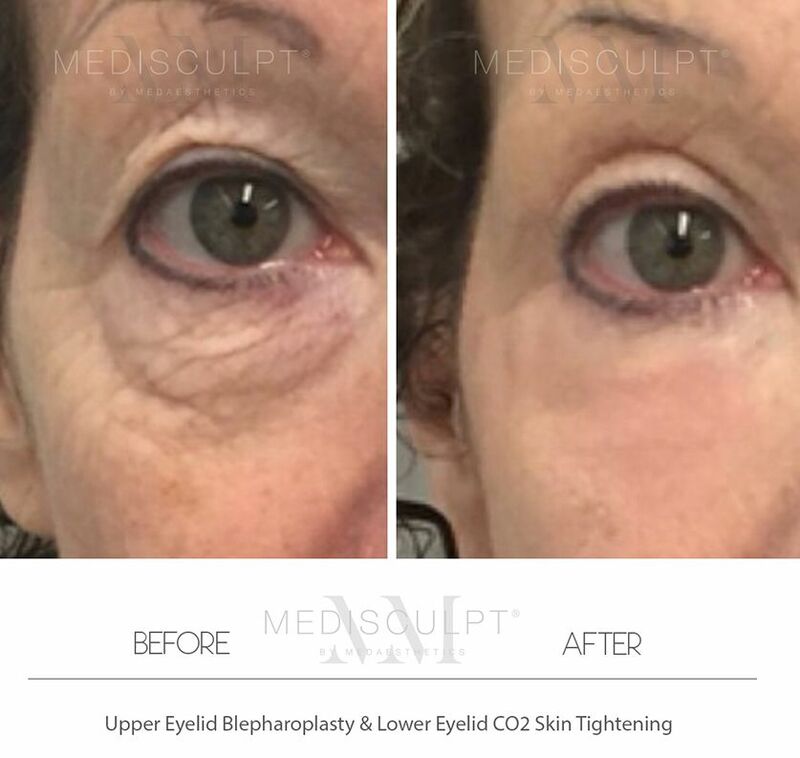 Eyelid skin heals quickly and exceptionally well, leaving minimal or no scarring. 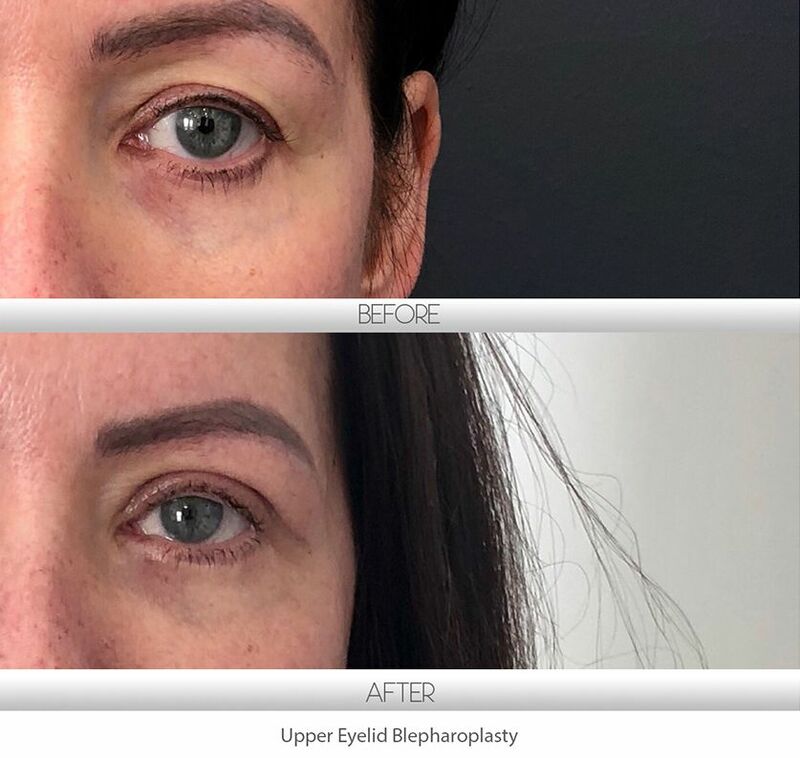 The area of excess skin excision is in the natural eyelid crease and in most cases, is virtually invisible when the patient's eyes are open. Most patients can return to office-based work within 5 to 7 days. We recommend at least 2 weeks off work if your work involves heavy physical activity or travelling. Medical Certificate can be organised which will not mention the name of your procedure. Temporary Skin discolouration in the incision lines. Short term an long term amnesia (memory loss) are some of the significant side effects. 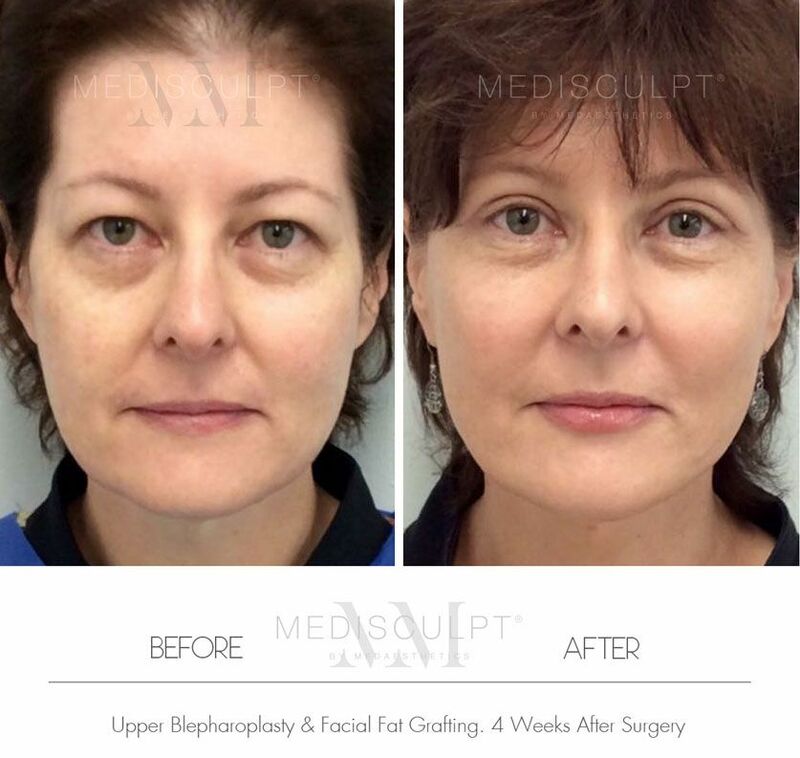 As a stand-alone procedure, blepharoplasty surgery fees start from $3800 (for both sides). Do any available Medicare Rebates apply? 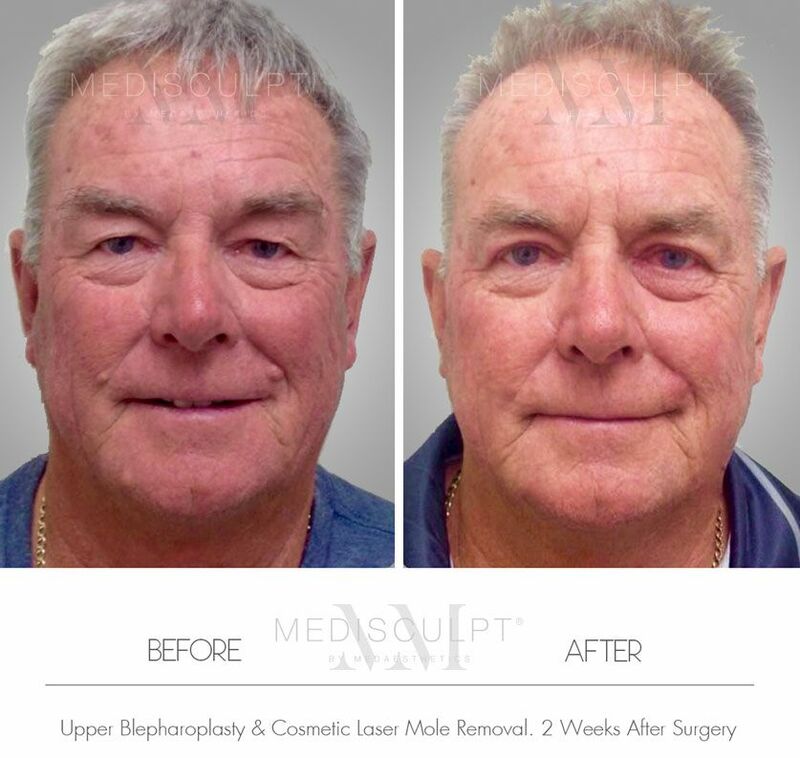 Medicare Australia does not cover any elective cosmetic surgery or consultation fees. 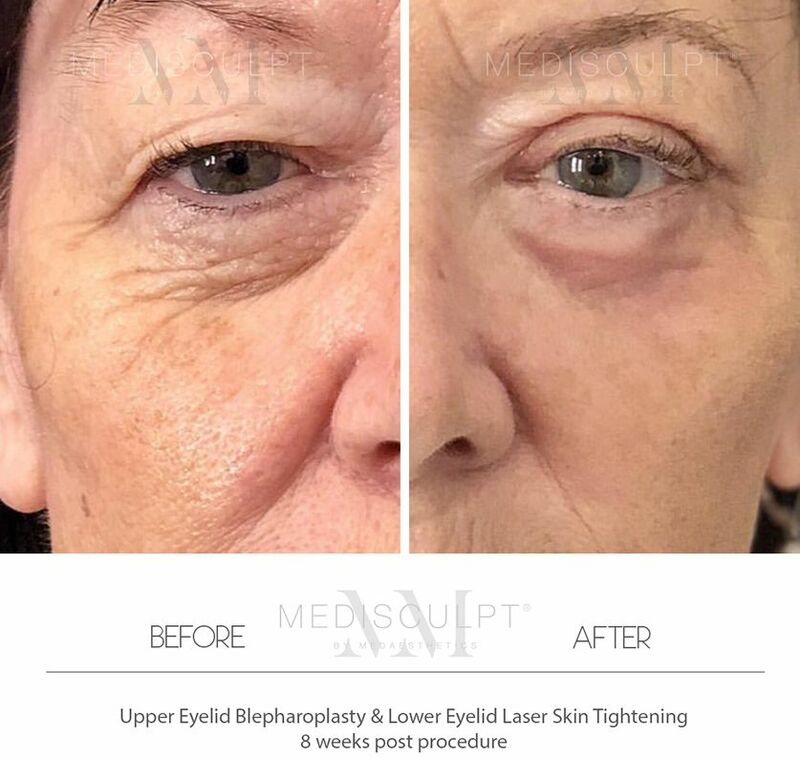 The relevant Medicare rebates are only applicable to this type of procedure when the excess eyelid skin is interfering with the outer field of vision in elderly patients.